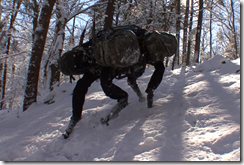 Image Source: Boston Dynamics The robot folding towels post below was interesting enough at the time to post a link. The aim of this robot was to investigate the handling of non-rigid objects. 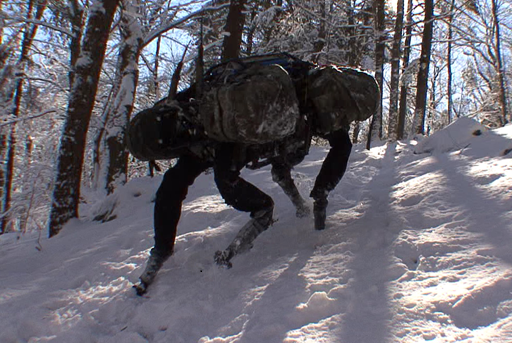 Recently I’ve come across a couple of other interesting videos which demonstrate the abilities of some robots being developed by Boston Dynamics. One is BigDog which is capable of throwing breeze blocks around. The potential uses of machines which can do this sort of task are enormous. One of the projects aims is to develop machines which can go anywhere we can (and they are quite some way to achieving that goal). The next video is the Cheetah which is able to run at over 28.3 mph (45.5 km/h). Researchers at Berkley have developed a robot that folds towels. Not only does it bring us one step closer to an easier way to do the laundry it represents a breakthrough in the robotic manipulation of non-rigid objects. Existing robotic techniques work on towel folding starting from a known configuration. In this robot the design team's innovations allow towels to be picked up from a pile where its configuration is unknown and arbitrary. By solving that problem of folding towels, the robot helps addresses key issues in the development of robotics and the manipulation of non-solid objects.